Recently my husband and I spent 24 glorious days in Thailand and I thought it’s about time I share some of our trip with you! I’ll be sharing a few of the highlights starting with our visit to Elephant Nature Park in Chiang Mai. I knew I wanted to spend some time with elephants while in Thailand but I wanted to be sure I didn’t lend to their exploitation in the process. I’d heard a bit about the struggle of Asian elephants in Thailand so I dug into some research before we made any decisions. As I began reading about it, I soon realized the situation was actually more dire than I had originally thought. I learned of their abuse, neglect, illegal elephant logging and the loss of habitat that over the last 100 years has decimated the population. What was once a thriving population of 100,000 is now hovering at just 2700 domesticated elephants. Wild elephants are difficult to count but experts agree there are about 2000-3000 left. In 1989, the Thai government banned logging in protected areas and while it was certainly a step in the right direction, it put many elephants out of work. Luckily, the ban on logging coincided with a rise in tourism which was able to employ many of them once again. 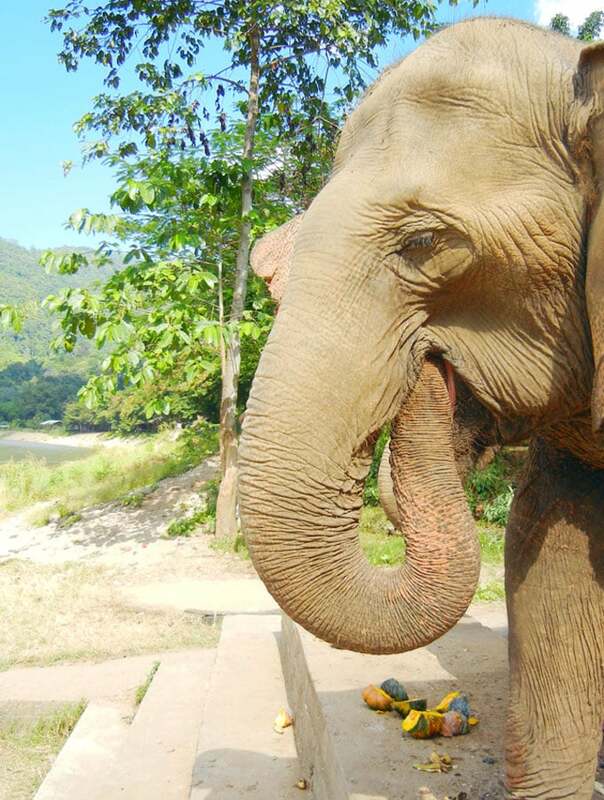 Today, more than half of domesticated Thai elephants work in tourism. 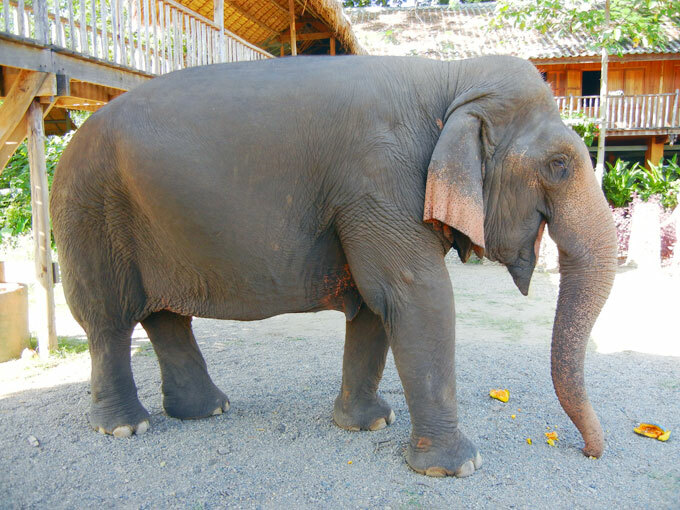 Animal rights groups have argued that tourists shouldn’t visit elephants camps, claiming that it promotes cruelty, which may be true in some cases. However, if the right place is selected, tourists can actually help elephants by providing their owners with the means to care for them. 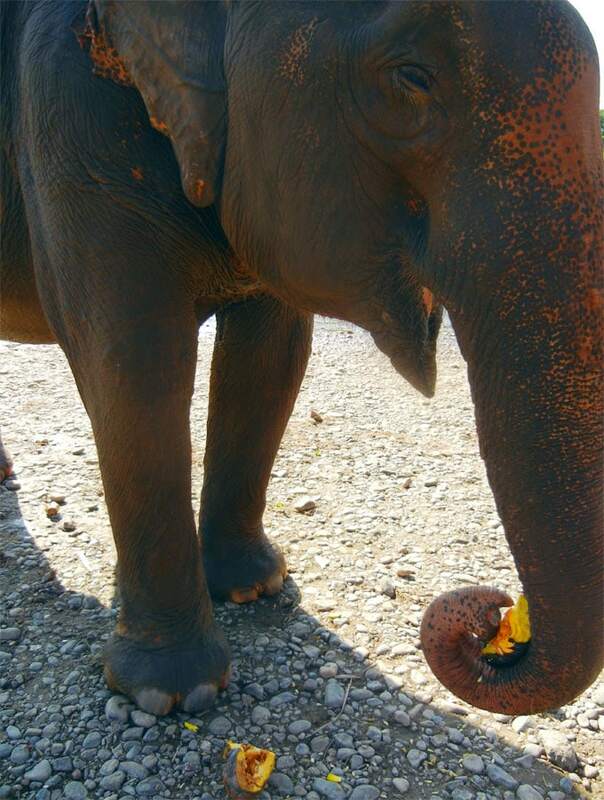 Currently, little is being done to protect elephants in Thailand. The laws regarding their protection are ambivalent. They are considered livestock and small fines, rarely enforced, are the only penalties for livestock abuse. 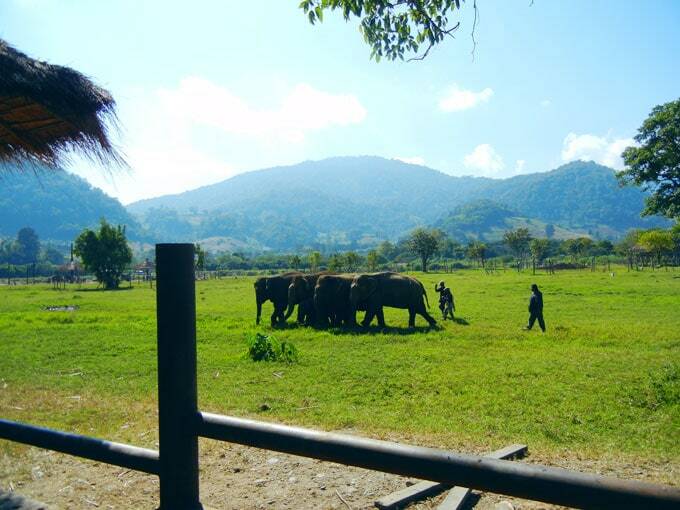 After much research and reading, I decided to visit Elephant Nature Park located outside of Chiang Mai in northern Thailand. It had excellent reviews, programs for tourists and dedicated staff who seemed to truly care about the animals they’re entrusted with. We booked a full-day visit to the park which included hotel pick-up and drop-off, lunch and a day spent with the 40 or so elephants they care for at the park, all for about $80 per person. Elephant Nature Park is an elephant rescue and rehabilitation centre and they’ve been involved in dozens of rescues that have a created a thriving elephant herd. The park provides a natural environment for rescued elephants, water buffalo as well as over 400 rescued dogs and 70 cats. Visitors not only spend time with the animals but learn of their stories, past and present, good and bad. 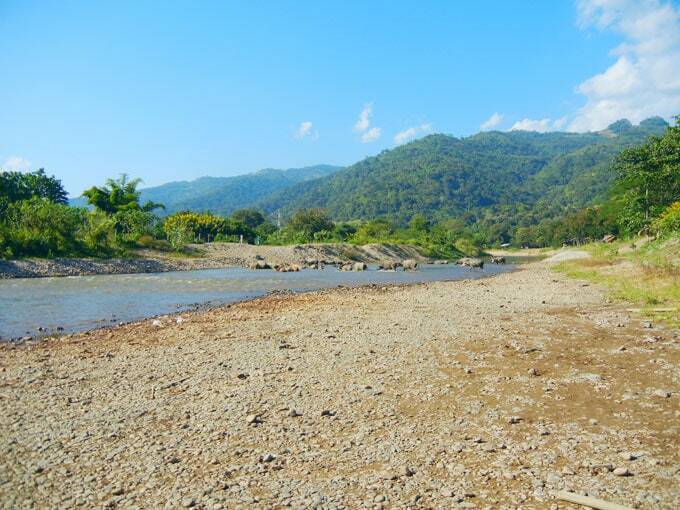 The park is set in a beautiful, natural valley, bordered by a river and surrounded by forested mountains. The scenery was quite spectacular and a really gorgeous place to spend a day. 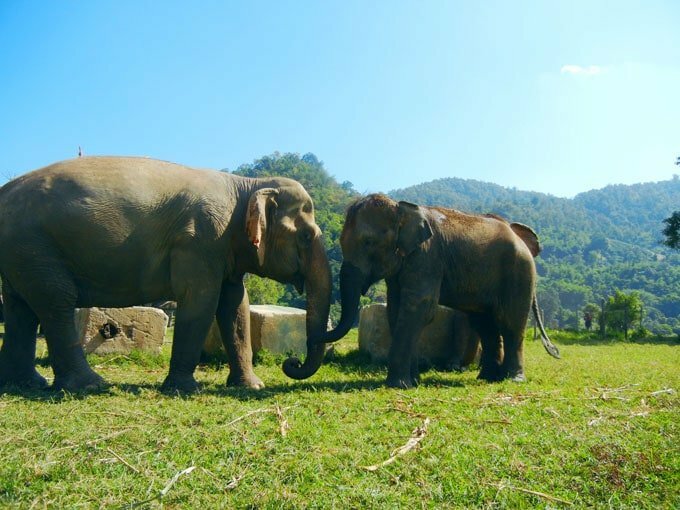 The goals of Elephant Nature Park include providing a sanctuary for endangered species, rain forest reforestation in the surrounding area, cultural preservation of the local communities as well as visitor education. We learned that the park provides jobs to many people living in the area as well as supports the local economy due to the sheer amount of food the elephants require. Honestly, some parts of the day were quite emotional as we learned the histories of individual elephants. The stories of abuse, neglect and extreme working conditions were painful to hear about. We also learned of the traditional Asian ritual that employs a horrific device called a “training crush.” It’s a small cage, just barely big enough to fit an elephant and it’s used to break an elephants spirit over the course of 3 agonizing and distressing days. Seeing the young, playful and spirited animals come out the other side mere shells of their former selves was truly heartbreaking. The cruel days spent in the training crush include painful prodding with nails, sleep deprivation, physical abuse, forced dehydration, starvation and other horrific techniques that cause both physical and mental wounds, eventually breaking their spirit completely. 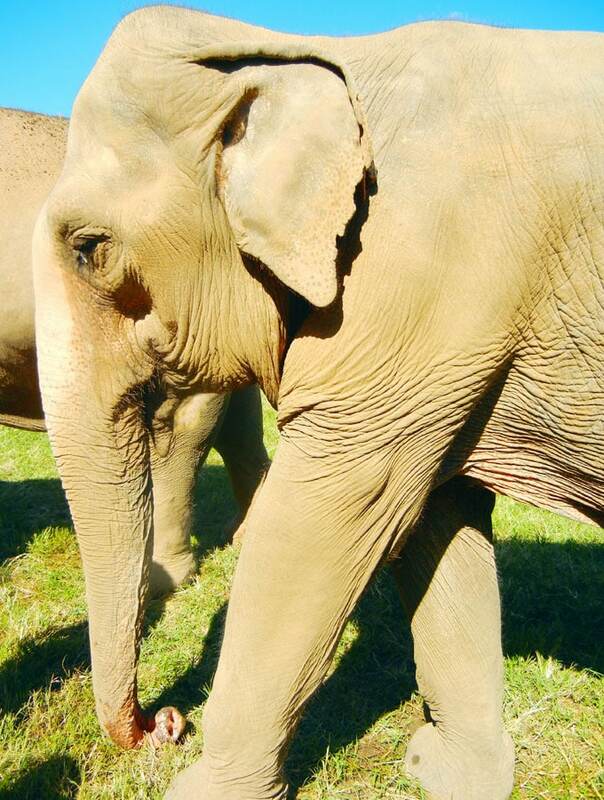 Needless to say, many of the elephants arrive at the park with mental issues and need time and therapy to heal. The Elephant Nature Park van picked us up at our hotel in Chiang Mai promptly at 8:30am before the 1 hour drive to the park. On the way, you watch a short video explaining elephant safety as well as the history of the park. 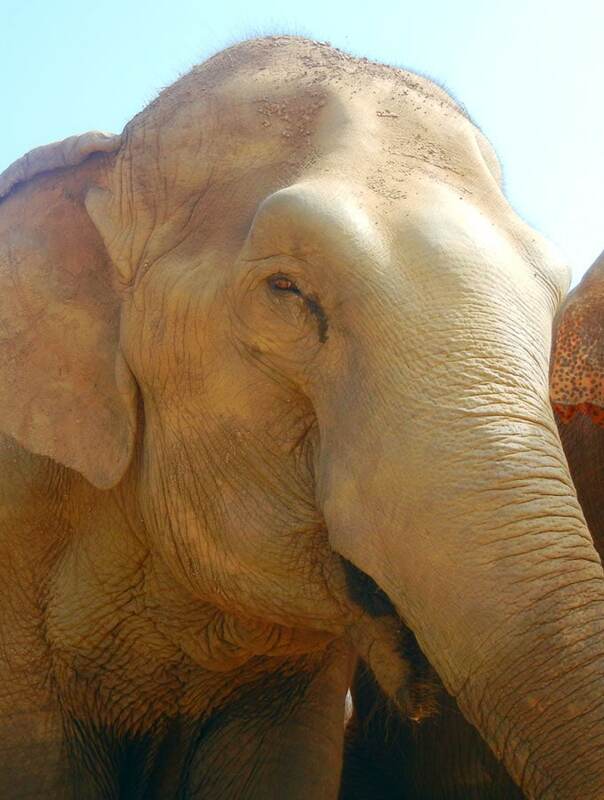 The park was founded by a woman named Lek, who with a love and respect for her country’s national symbol, began advocating for the rights and welfare of Asian elephants in Thailand. 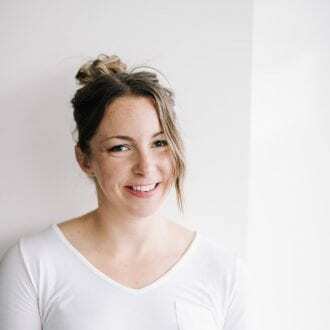 Her story is quite remarkable, you can check out an interview with her here. 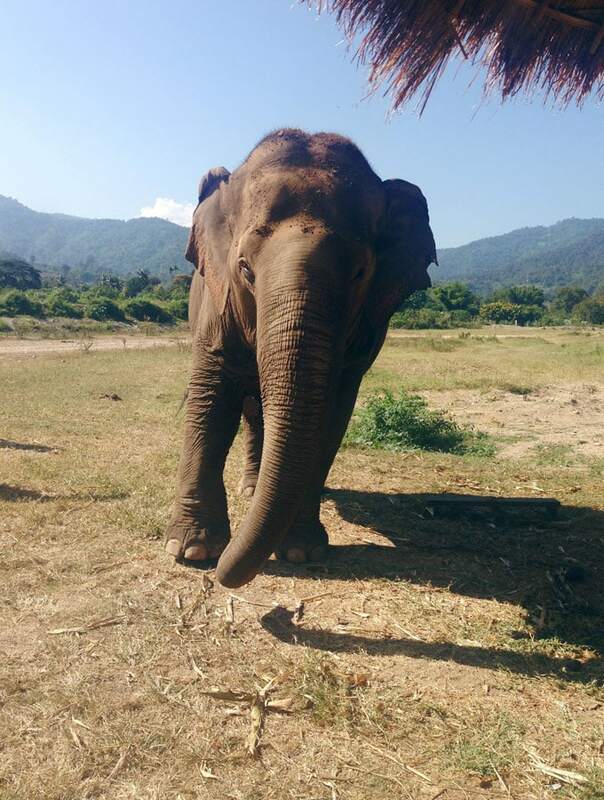 Upon arrival to the park, we reviewed how to stay safe around the elephants and then it was feeding time! Elephants began wondering in from all directions. 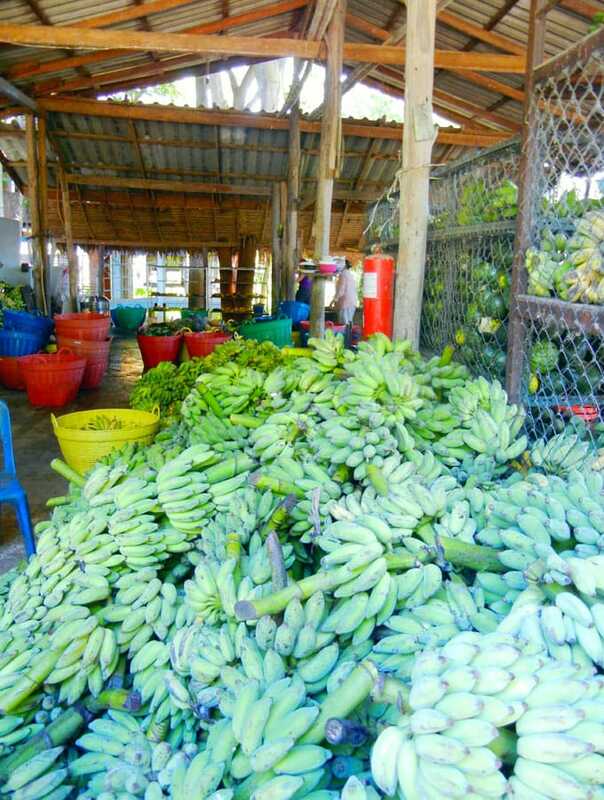 We fed them bananas, squash and watermelon and I tell ya, these guys can seriously eat! After the feeding, we got to spend a few hours walking around the park and getting up close to the powerful animals. Our guide continued to tell the stories of each gentle giant. Some of them had disabilities from their previous lives. One had lost its foot to a land mind, one had broken hips from forced breeding, one had suffered at an illegal logging camp in Burma, one had been blinded by its owner and so on. It was wonderful being up close with them. Touching their thick, rough skin. Watching them crush whole watermelons with their powerful teeth and trunks. 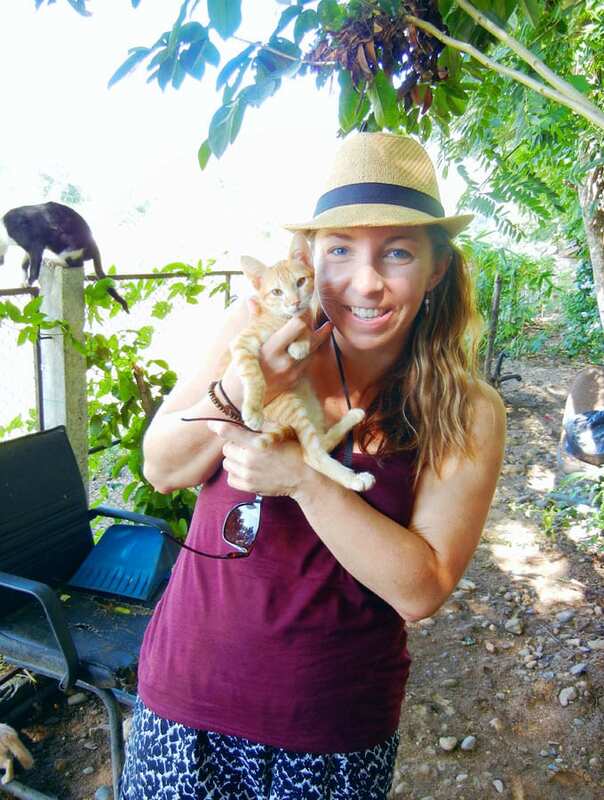 We were also able to venture into kitty heaven where there were 70 kittens and cats running around. I was lucky I didn’t come home with 20 kittens and I’m not even a cat person. There were plenty of dogs roaming about too, including “Steely” pictured below who was rescued after being run over by a motor bike. 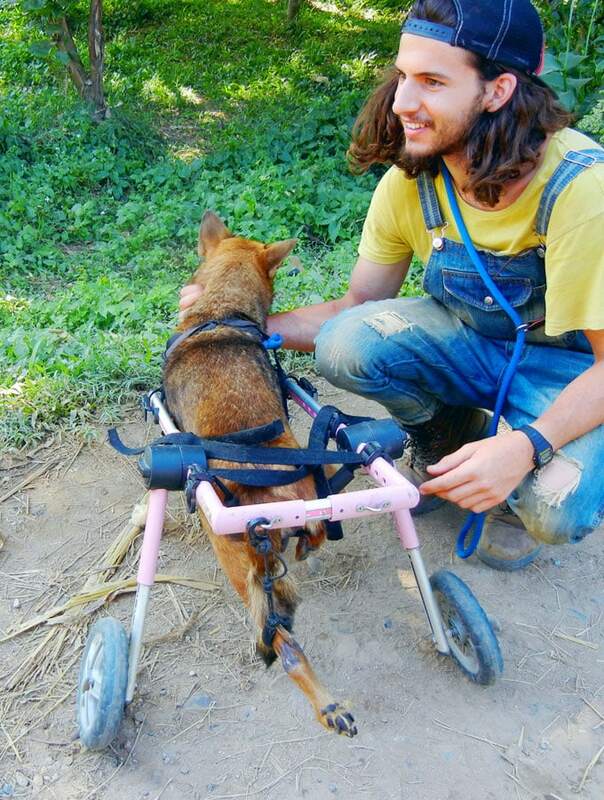 We was making his way around pretty good on his new wheels, I don’t think he noticed he was any different from the other dogs! After our walk around the park we headed back for lunch. The spread was impressive and all vegetarian, woohoo! The lunch was awesome and as you can see below, I didn’t hold back. 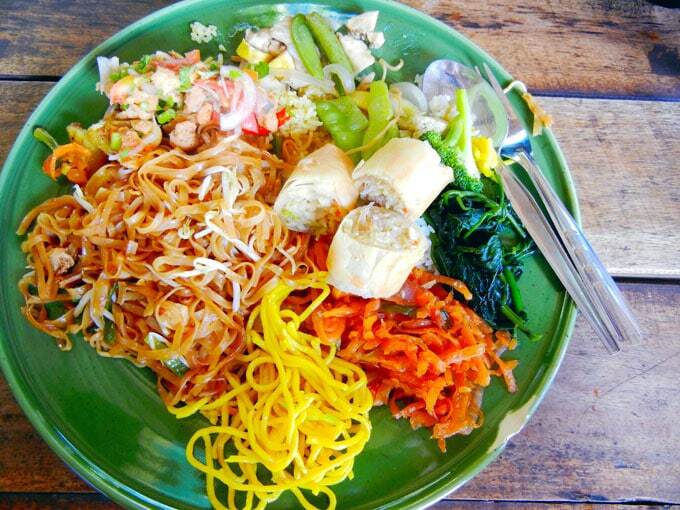 Gimme all the Thai food and no one gets hurt! After lunch, it was back out into the park for more walking and observing the elephants going about their day. By this time it must have been 35 degrees. With no shade available, it was scorching. Do not forget sunscreen and a hat if you visit! 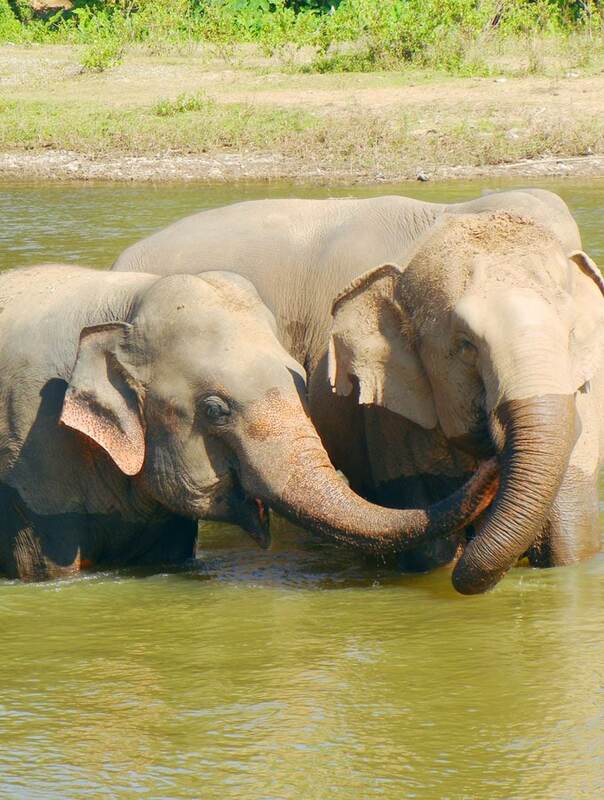 We bathed the elephants in the river, throwing buckets of water over their backs as they continued to munch away on gourds and bananas. Did you know that elephants eat 18-20 hours out of the day? These guys have it made, man! They can also live up to 80 years old and a number of the residents at the park were in their 60s. We had a little bit of excitement during our walk as one of the herds was all riled up over one of its members socializing with another group. My adrenaline was definitely pumping as the herd began stampeding towards us, trumpeting, roaring and stomping. We had to quickly duck behind a structure to get out of the way. The guide explained it was a simply a some drama between two herds. Apparently, they all have quite the personalities! And, guys, there was a baby! Oh, the sweetest, cutest little guy you ever did see! If I could have snuck him home, I 100% would have. You can totally keep an elephant in an apartment, can’t you? 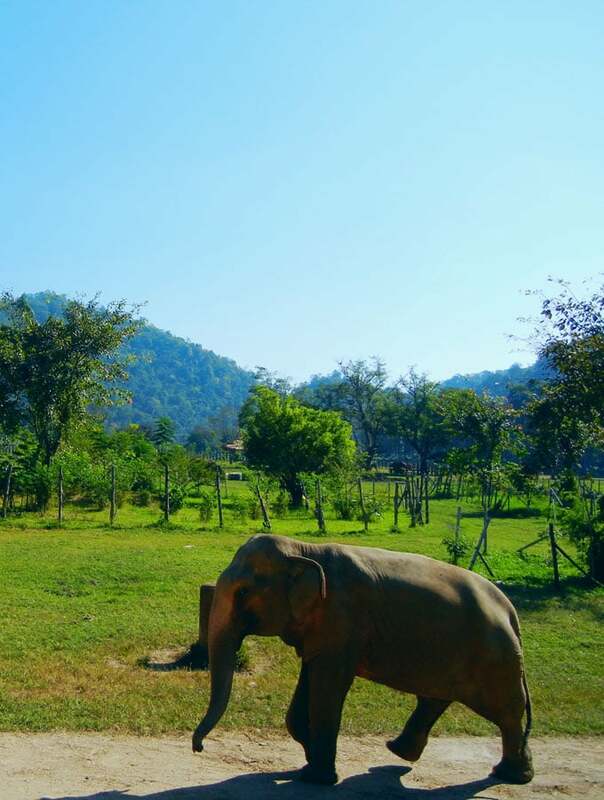 If you ever plan on visiting Thailand and are making your way to Chiang Mai, I would recommend visiting Elephant Nature Park for a positively memorable day. 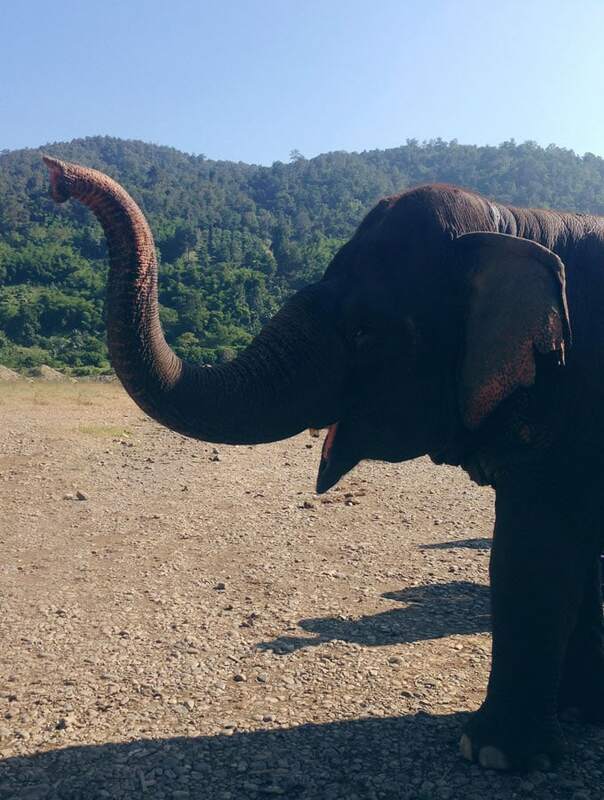 The scenery is breathtaking, the elephants are a beautiful and the staff is kind, informative and all seemed to deeply care about the animals. 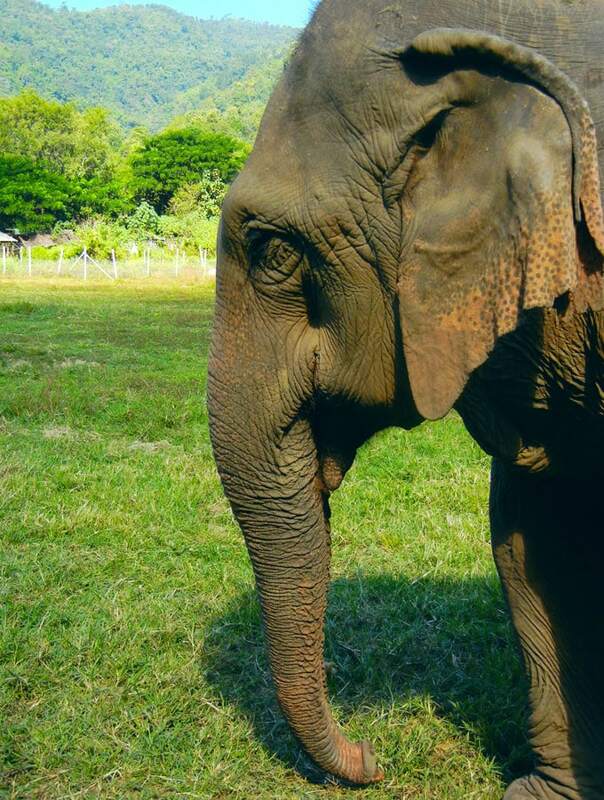 You can contribute to the imporant work being done at Elephant Nature Park by visiting, volunteering, making a donation or even sponsoring an animal. What a wonderful sanctuary for such beautiful animals! They are stunning! They are stunning! So smart too, and their different personalties were pretty funny to hear about! How amazing! What a wonderful place. I hope to go there someday, I will have to add it to my bucket list! This hits my heart in two places, as an animal lover, and as a photographer. I know, I only had a small point and shoot when we visited and I wish I’d taken my DSLR. There are some amazing photo ops to be had there for sure! I could imagine later in the day you could get some spectacular shots of the scenery too. Thanks for the comment! Thanks so much for this post! Thailand is on my bucket list and I would love to be able to see Elephants without doing harm. I get so sad when I see posts from people riding elephants! Your photos are gorgeous- I feel like I am right there with you! Those elephants are so beautiful! For Christmas, I gave my sister an elephant… I made a donation in her name and now she has a baby elephant that will be treated for and protected. All elephants deserve a free and healthy life. It’s very cool you got to spend a day with them! They do amazing work at that park … hope others follow in your footsteps! I think it’s wonderful you did so much research before going to see the elephants. 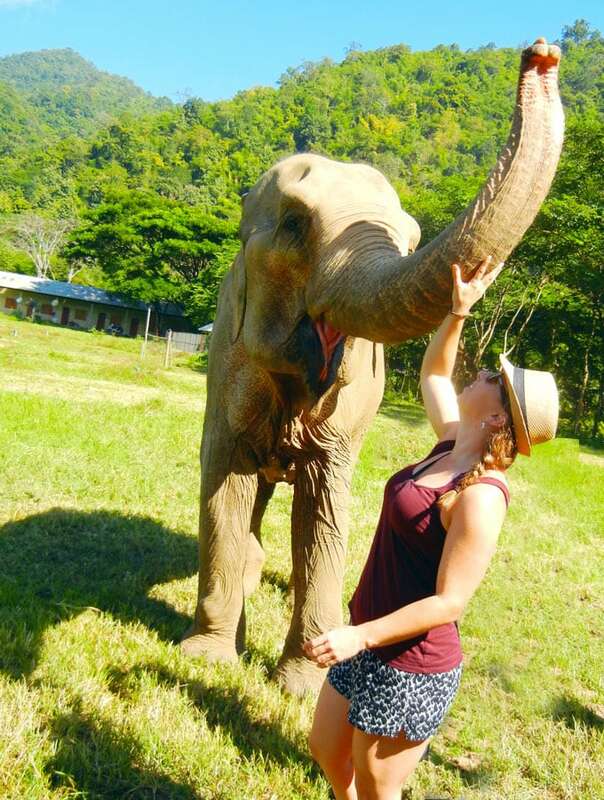 So nice to see some real photos and your experience here at the elephant park. I’ve heard about this and plan to go volunteer for a week sometime next year! Such awesome work people do, working with the animals in natural habitats rather than zoos and enclosures. Can’t wait! Hi Deryn. Thank you for sharing your experience at the park. I leave for Thailand in 3 weeks and we are going to Chiang Mai just to see the elephants there. Can you tell me when you visited? I’m curious because you said there was a baby and I’m hoping the baby is still a baby! Thanks again for the information and the beautiful pictures. I visited November of 2014. I’m sorry I can’t remember exactly but the 2500 baht day trip sounds about right! Have a great time! I’m wondering about that, too! There are day trips for 2,000 bht and 6,000 bht. Other than one including kayaking, I can’t see the difference. 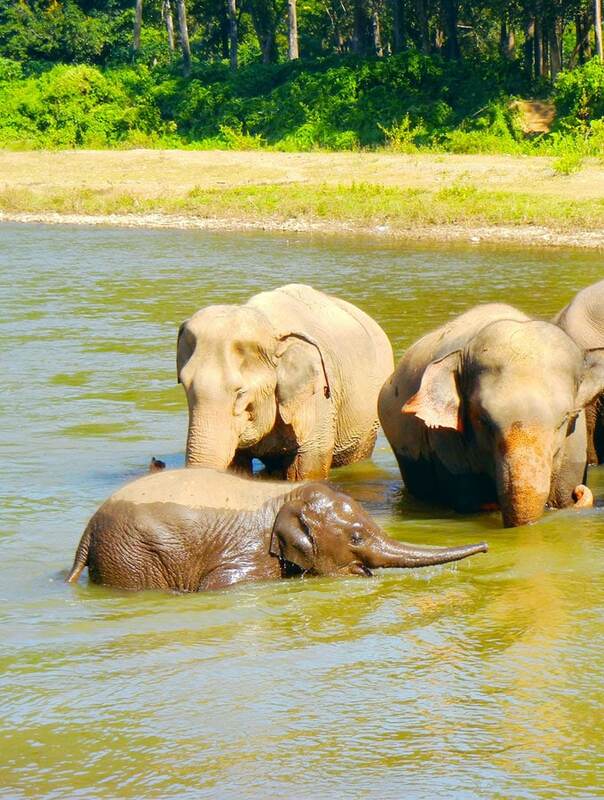 I’d give up kayaking for more time with the Ellies! We are going in February 2017. I am planning to be there Oct 6, 2016. I would like to go with the Full Day trip that begins at 7:30, but I would like to leave at the same time as the half-day group at 3:30. The half-day option doesn’t start until 9 🙁 In case this is not allowed, is there other transportation I could negotiate to bring me back to Bangkok? Taxis perhaps? Bring you back to Bangkok? That would be a long Taxi ride! Going to do this in a few months! 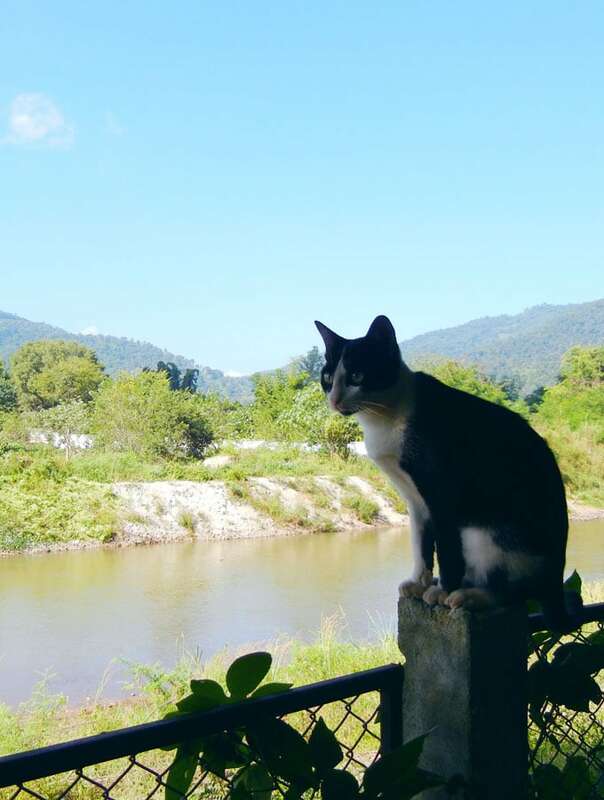 My only concern – is that river water looks unsanitary to bathe in. Did you have any issues with parasites / bacteria?? We didn’t swim there so I’m not sure. Enjoy your trip!